The semiconductors powering modern electronics are fast approaching their functional limits, threatening further advancements in computing technology. 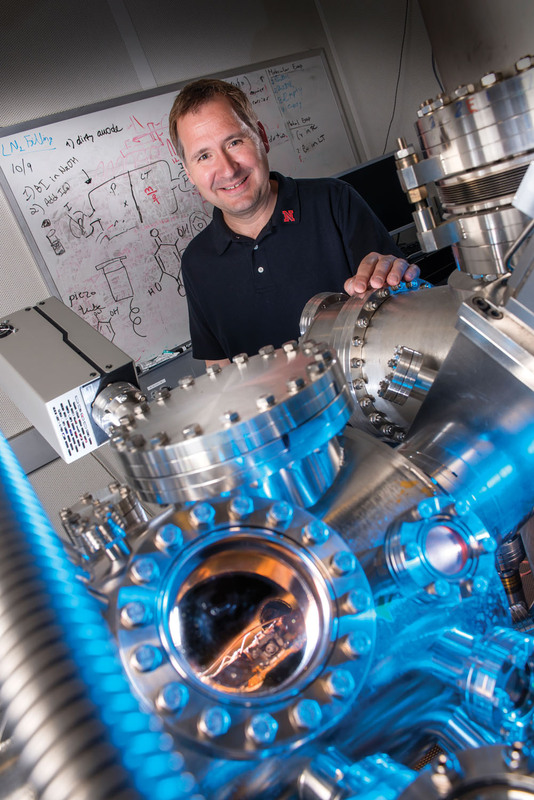 Scientists and engineers in UNL’s Materials Research Science and Engineering Center lead basic research needed to create a new generation of electronic and computing technologies. UNL established this highly collaborative center in 2002 with a $5.4 million National Science Foundation grant. In 2008, NSF awarded $8.1 million to continue the center. A new $9.6 million grant funds its work through 2020. “Ten years ago, it was hard to imagine how vigorously nanomaterials research would advance in Nebraska. Now, we are among the leaders in the field,” said Evgeny Tsymbal, George Holmes University Professor of Physics and MRSEC director. Major advances in understanding nanomaterials’ unique properties underpin the center’s success. Now called Polarization and Spin Phenomena in Nanoferroic Structures, or P-SPINS, the center focuses on two key research areas. Each aims to create new nanomaterials to enable smaller, more powerful and energy-efficient computers and other electronics. 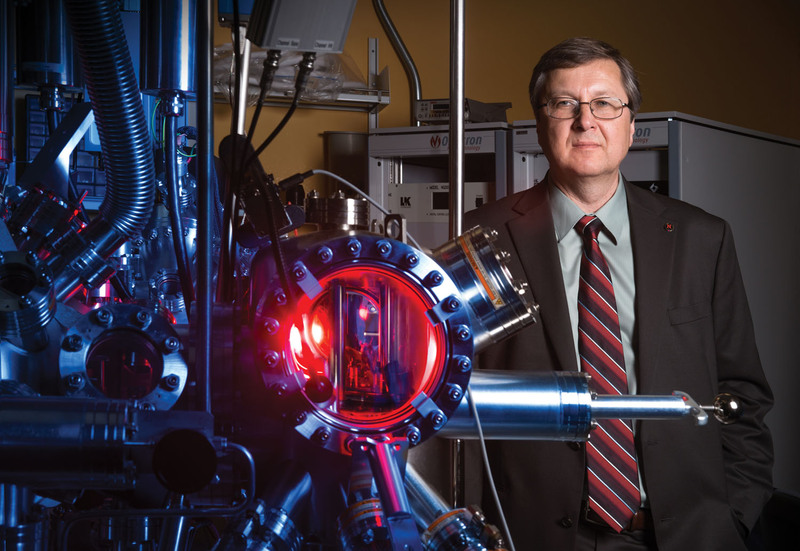 Magnetoelectric materials and functional interfaces research builds on UNL physicist Christian Binek’s advances in spintronics and nanomagnetism. This team is developing voltage-powered logic and memory devices. 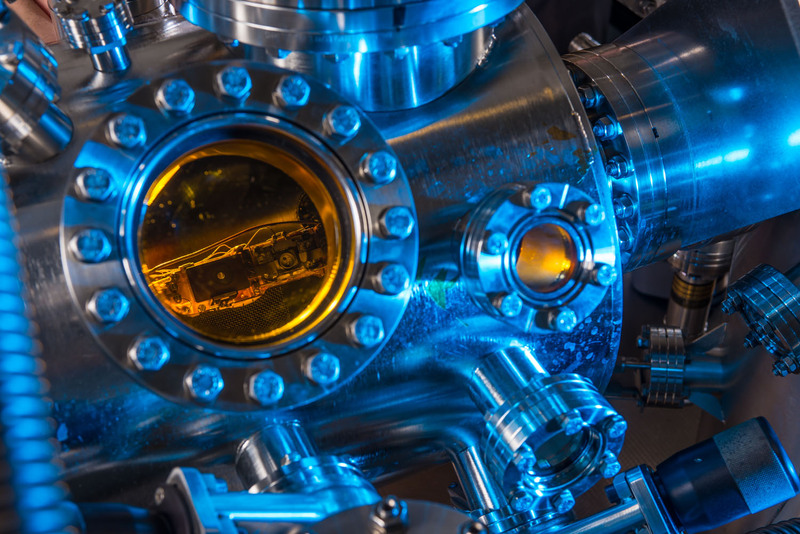 The second focus on polarization-enabled electronic phenomena evolved from Tsymbal’s theoretical predictions and physicist Alexei Gruverman’s experimental work on quantum tunneling through a nano-thin ferroelectric barrier. 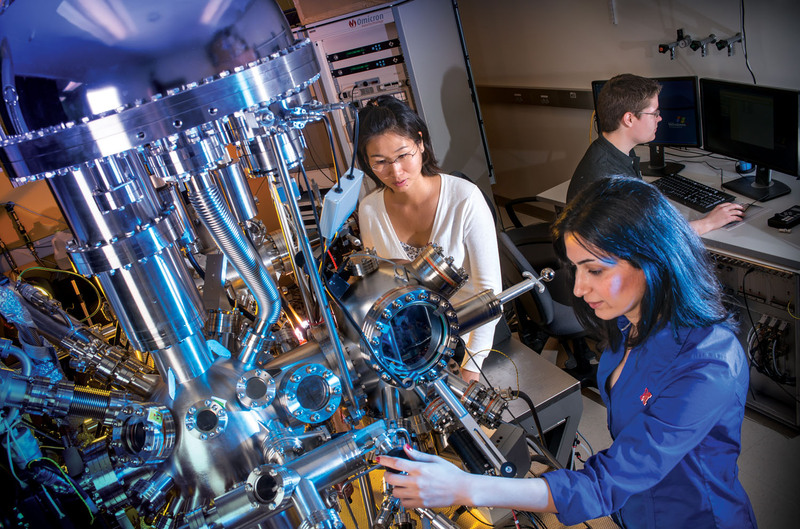 This team is investigating novel ferroelectric materials and structures to advance nanoelectronics. 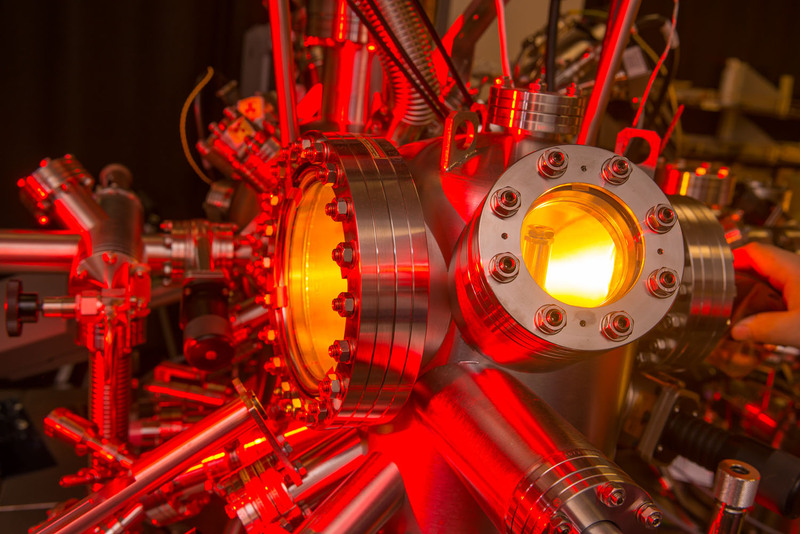 MRSEC faculty also are developing more efficient solar cells, superior magnetic and nanoscale structural materials, and techniques to better understand nanomaterial properties. Through the center, 18 UNL researchers from diverse disciplines share expertise. Faculty also collaborate with scientists nationally and internationally. To transform MRSEC’s discoveries into products, the center partners with industry. 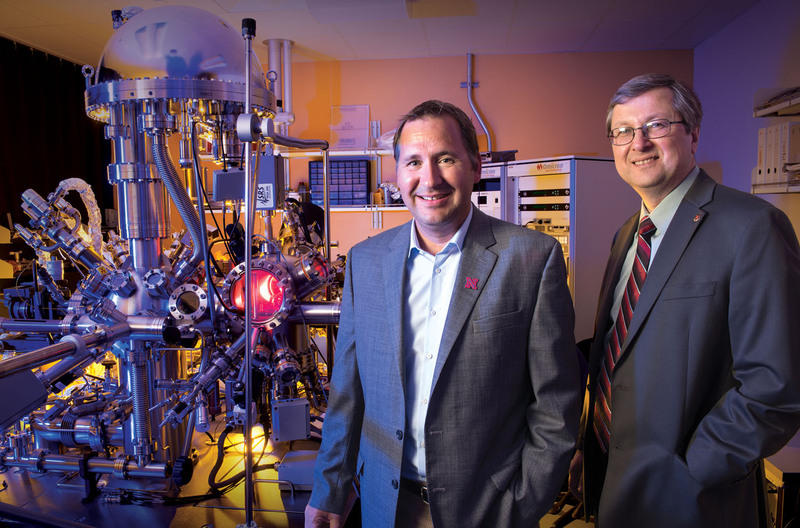 For example, faculty work with UNL’s Center for Nanoferroic Devices, funded jointly by an industry consortium and the National Institute for Standards and Technology. MRSEC also is known for its educational and outreach programs. 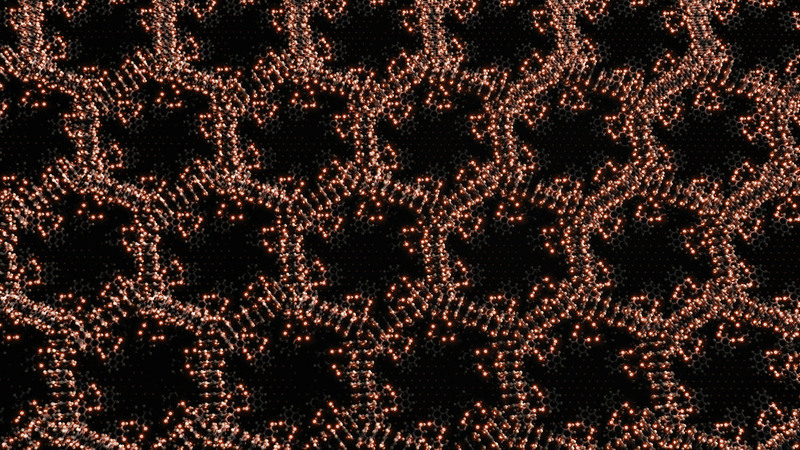 Illustration of 3-hydroxyphenalenone (3-HPLN) molecules assembled on a copper surface.